Lot 195. 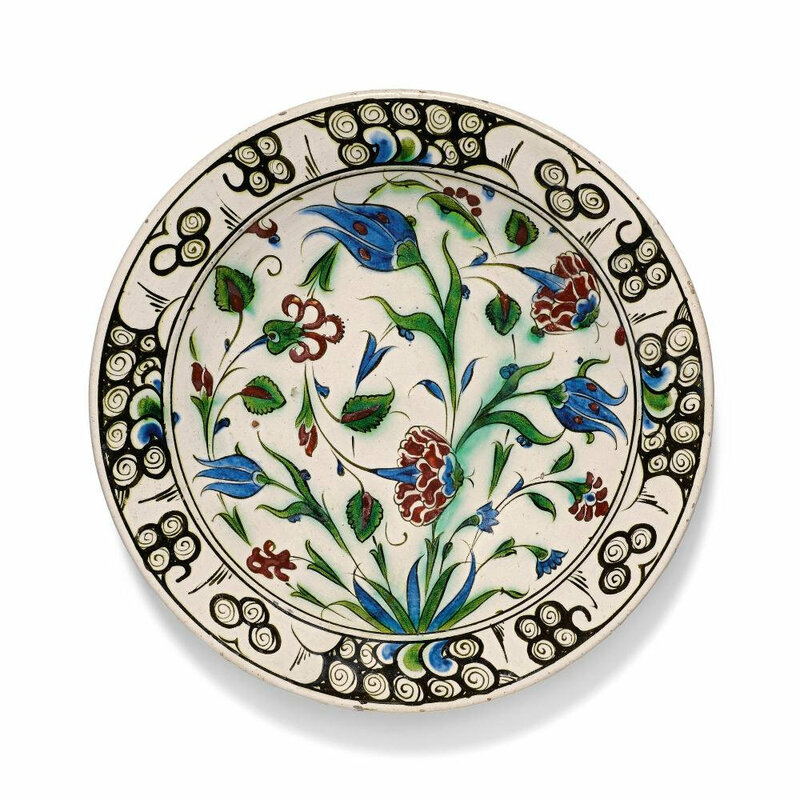 A Iznik polychrome pottery dish with tulips and carnations, Turkey, circa 1580; 30cm. diam. Estimate £5,000 - £8,000. 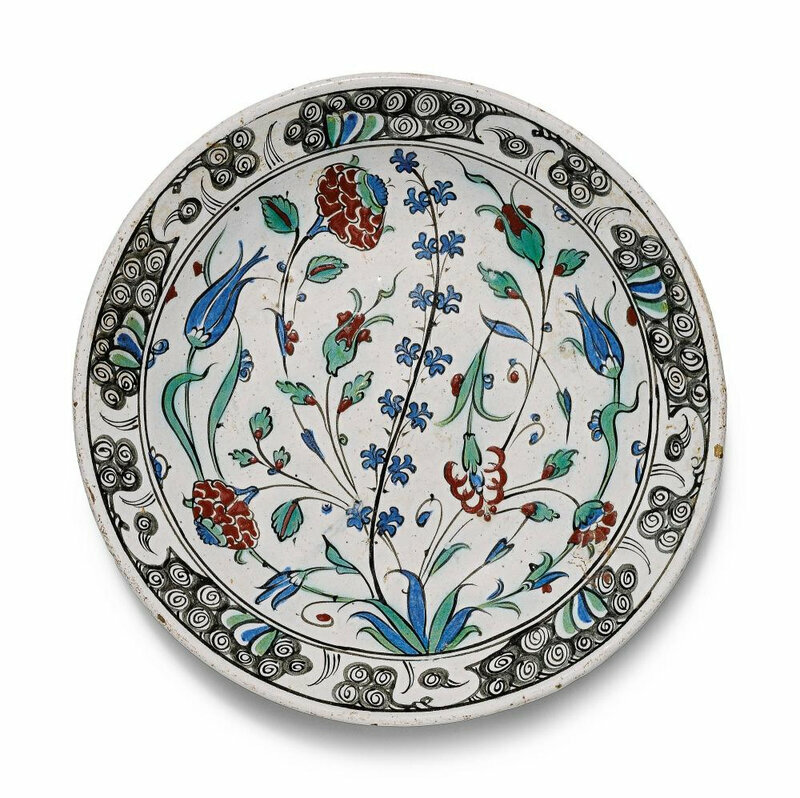 © Sotheby's. 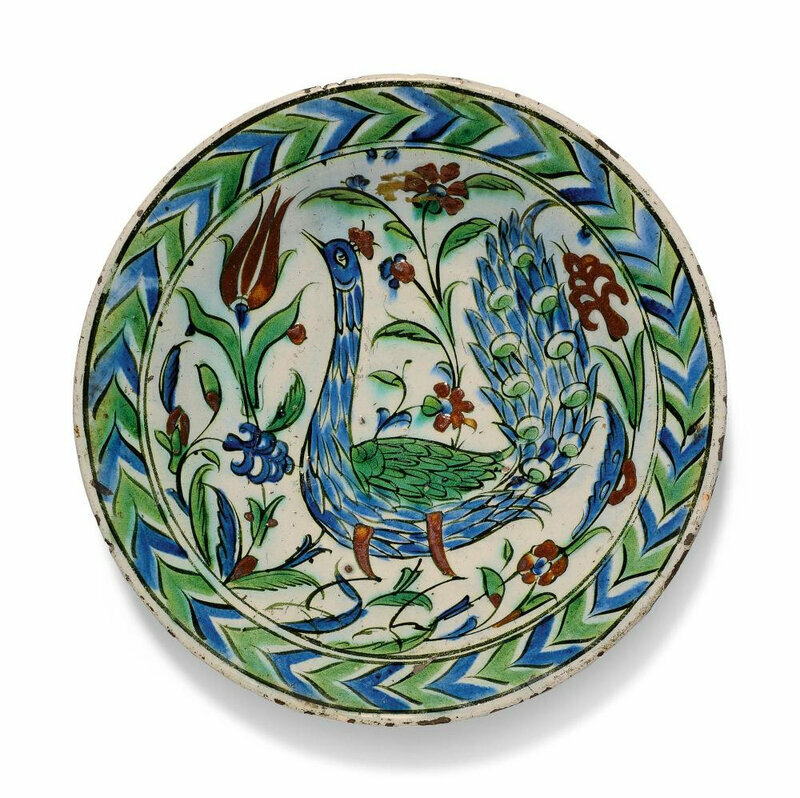 fritware body decorated in blue, green and bole red with black outlines, with tulips and carnations, breaking-wave border, two drills to the foot.